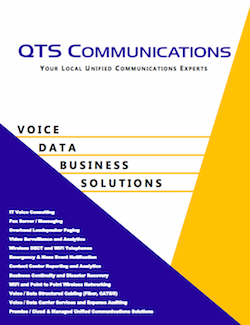 QTS Communications is a Colorado company since 1999, delivering highly reliable Unified Communications to small, medium and enterprise businesses. Our business is Communications, and we understand the technologies that make businesses work. To learn more about us and find the right solution for you, make sure to download our brochure!